NOMIS is a private Swiss foundation that supports insight-driven scientific endeavours across all disciplines, placing particular emphasis on the researcher. The NOMIS Foundation seeks to “create a spark” in the world of science by funding highly innovative, ground-breaking research in the natural sciences, social sciences and the humanities. (excerpt from NOMIS website, 2017). At work in the CA / Media Lab at the Lucerne School of Art and Design. As part of the award ceremony on October 19th in the Gottlieb Duttweiler Institute in Zurich, three film portraits will be shown, each of them presenting one of the NOMIS Distinguished Scientists 2017. The films have been created by students and alumni of the Lucerne University of Applied Sciences and Arts, School of Arts and Design, Switzerland. Next to a brief overview of the research, they provide a portrait of each scientist that shows them in their specific, personal environment, where they work and develop ideas and new thoughts. Central to this portrait series is the connection of scientific work and ‘daily life.’ Each scientist will be visited in their own day-to-day environment, from home to work place to (glimpses of) their social and leisure activities. The underlying idea is that scientific research, like all work, is not an isolated activity, but fully integrated in the life of the scientists and their social and physical habitat. 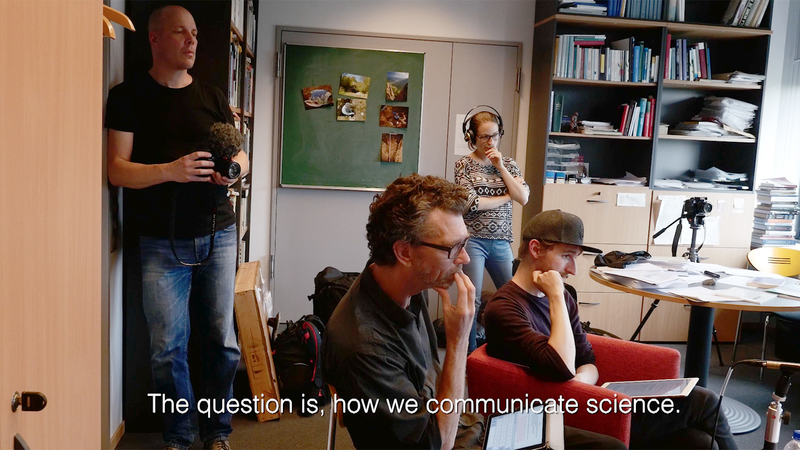 The film production, framed as ‘Imaginging Science’, offers a unique opportunity for the students and young professionals to develop their own conceptual and visual approaches towards research and scientific knowledge as a genre of contemporary visual storytelling. By focusing on the personalities behind the research, the makers highlight the researcher’s motives and inspirations. The students have been responsible for the preparation, research, concept, interviews, filming and the post-production of the films, and are coached by supervisors. Film portraits have been commissioned by the NOMIS Foundation in Zurich to Lucerne University of Applied Sciences and Arts, School of Art and Design, BA in Visual Communication – Camera Arts. Special thanks go to Nathaly Bachmann, Essence Relations, Zurich / Bern who established the initial contact between NOMIS and CA.